In recent years, China’s greatest export has been the best and brightest of the next generation. They call them girls. 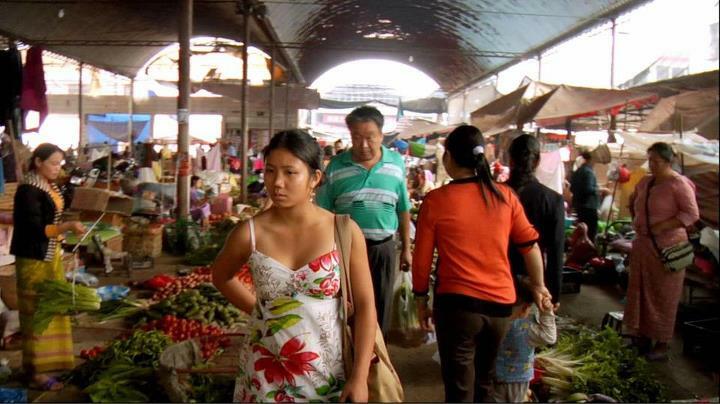 China’s One Child Policy, cultural preferences, and dire rural poverty created a perfect storm of little orphaned girls. Over 100,000 have been adopted worldwide, out of which over 80,000 are now Americans. 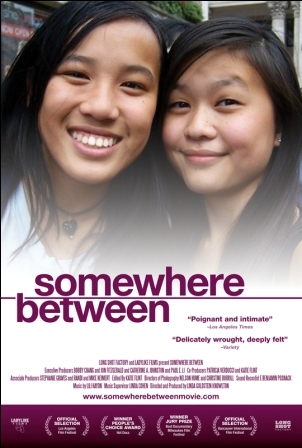 Four such teenaged adoptees are profiled in Linda Goldstein Knowlton’s Somewhere Between (trailer here), which opens this Friday in New York. Few adoptees really expect to find their birth parents. It is a matter of simple math: over a billion people and scant documentation. Nonetheless, many will try to trace their roots, not necessarily to reconnect with the parents that let them go, but to help come to terms with who they really are. Jenna, Haley, Ann, and Fang (or “Jenni”), the primary POV figures in Somewhere, are indeed high achievers. Some admit part of their drive stems from the lingering feeling of abandonment—that is a loaded word in the film, but it is hard to get around it. However, it may come to pass China will regret losing out on their talents and those of scores of young women just like them. While the flow of adoption has slowed, the impact on upcoming Chinese generations will be felt in years to come. Perhaps the greatest revelation in Somewhere is the continuing engagement of not just the girls but their entire families on the issue of Chinese orphans. One Evangelical family has formed a nonprofit to deliver much needed supplies to the ill-equipped provincial orphanages. Yet, the film’s most moving subplot by far involves Fang and her family’s efforts first to fund physical therapy for a little disabled girl and then help facilitate her placement with an American family ready and willing to provide the care she needs. Unlike in most documentaries, the Evangelical community is presented on balance quite positively in Somewhere. They are the adopting demographic, after all. The kids at school can still be insensitive jerks though. Hopefully, Knowlton’s film will lead to greater understanding. Indeed, viewers should realize girls like the Somewhere quartet will be their children’s future classmates or maybe even their own daughters. Smart and uncommonly together, each of the featured young women is worth meeting on-screen. Clearly, they were comfortable opening up to Knowlton, who set out to make the film to provide her own adopted Chinese daughter some points of reference for when she is old enough to start grappling with these issues. Well intentioned, emotionally engaging, and never polemical, Somewhere Between is recommended rather strongly when it opens this Friday (8/24) in New York at the IFC Center, with Knowlton and several participants appearing at select screenings throughout the weekend.